Main wheel is equpped with steel gear and 3 lever position for out of gear, left/right rotation and special Front uplift. It can easily towed by one or two horses. 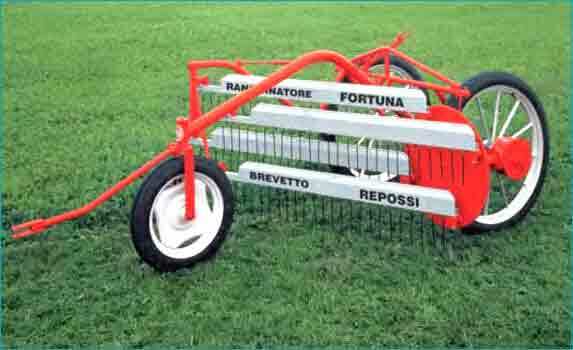 Different models of trailed comb side-delivery rakes with one raking group, with 4 reels acted by the mechanical transmission of the wheels rotation by an oil-lubed gearbox. 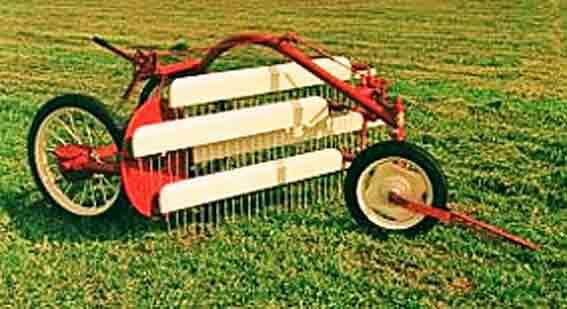 They haves both raking and tedding configuration. Working width 2,30 - 2,90 m..